“Gold Bar” series is based on the Forbes Billionaires list of 2015. 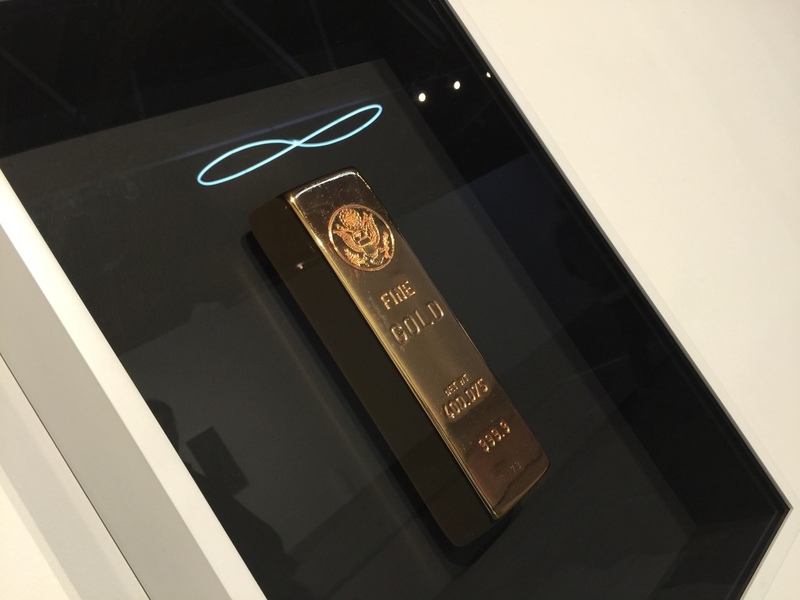 Each floating gold bar is unique for a person on the list, reflecting their ranking in 2015. The bars are all 1/1 and hand cast by the artist and protected by bullet resistant acrylic.